An in-depth video training course in the cornerstone techniques of shamanic practice. Go deeper into the history and practice of shamanism with written material adapted from Sandra’s book, Shamanic Journeying: A Beginner's Guide. "It is because shamanism is the path of direct revelation," teaches Sandra Ingerman. "It requires no dogma and no outside authority. Shamanic practice gives you the tools to enter the spirit world yourself and discover your own power." And it all begins with the shamanic journey—the cornerstone practice for awakening to the spirit world. The shamanic journey is the art of using rhythm and intention to enter an altered state of consciousness in order to connect with the spiritual dimension of reality. With Experiencing the Shamanic Journey, you are invited to learn this safe, reliable, and transformative technique from one of today's most respected shamanic teachers: Sandra Ingerman. We begin by exploring the secrets of humankind's earliest spiritual practice and its modern incarnation. Learn how rhythm can shift your brainwaves to take you into an altered state, and the most effective techniques for opening yourself to power and guidance from the spirit world. In shamanism, the spiritual component of healing is paramount—and non-ordinary healing often leads to remarkable recovery on the physical level. Sandra offers essential guidance on dealing with spiritual blockages, negative energy, chronic illness and misfortune—as well as the Spirit Boat journey for recovering your lost power. Sandra explores the many ways to fully integrate shamanic practice fully into your life. Learn more about working in the Middle World, strengthening your relationship with your power animals and spiritual allies, and fully embodying the wisdom you receive from your shamanic journeys. With Experiencing the Shamanic Journey Sandra Ingerman invites you to learn this transformative practice for healing, insight, and awakening. If you're ready to embark upon your own journey into the world of spirit, there's no better teacher to help you get started. When I first discovered shamanism a few years ago, I collected as much information as I could from reliable resources. One of my favorite authors soon became Sandra Ingerman as her information was not only reliable it was easily accessible. After reading Awakening to the Spirit World, I discovered Sounds True and from here found a variety of shamanic-related products and was delighted to see more of Sandra Ingerman's work. For someone like me, who works a lot but who's money goes towards bills and the home, it was hard to save money for Shamanic retreats, let alone planning one concretely in the months to come. I was hoping that I would find some sort of alternative. I had bought this Web Seminar with the hopes that I would find something aching to a Shamanic retreat, and I was pleasantly surprised when I found my wish. Experiencing the Shamanic Journey is essentially a basic core shamanic workshop for anyone who is interested in learning shamanism. Not only is it a very interactive format, the whole course is jam packed with useful information. One of the things I noticed about Sandra Ingerman specifically is that she didn't talk much in her books about shamanic healing, and though by this time I already have an understanding of the core shamanic methods, thanks to my helping spirits and other authors, I was very happy to see that Sandra Ingerman went into detail on one particular shamanic healing--Power Retrieval specifically. However, she has a wonderful book on Soul Retrieval (and there is a Sounds True audio course you can take) I would love for Sandra Ingerman to write or do a course of shamanic extraction and spiritual intrusions just to get her perspective in full! I have to confess I entered into this video workshop with some skepticism and hesitation. I had a concept (erroneous) of shamanism as something extremely esoteric and somewhat scary. I was curious to know more about it, though. For some time I have participated a couple of times a year in Native American sweats and sun dances held on a nearby reservation. In addition, I've always been intrigued by the concept of tribal roots -- my personal theory is that human beings evolved in a tribal framework, and actually can function most optimally within that construct. What I found in Sandra Ingerman's course was something surprisingly approachable and user-friendly. In this course she introduces us to an approach that, rather than being esoteric in its approach, is quite universal and inclusive. 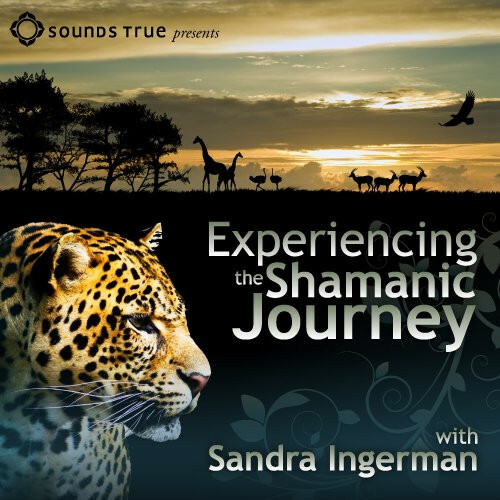 Sandra presents shamanic journeying in a friendly, comfortable way, with an edge of ironic humor and a basic humanness that I found very welcoming and approachable. I believe I will continue to pursue more knowledge about this subject, as so far it's come very naturally to me, and has proven quite valuable already. Thank you, Sandra! I love this program. I like that I can work at my own pace. So far all of my questions have been answered. The only way this program could be better is if Sandra Ingerman were here in person.